Many people request the norms for FertiQoL. The FertiQoL Technical Working group is currently preparing an article describing the psychometric properties in the international context. 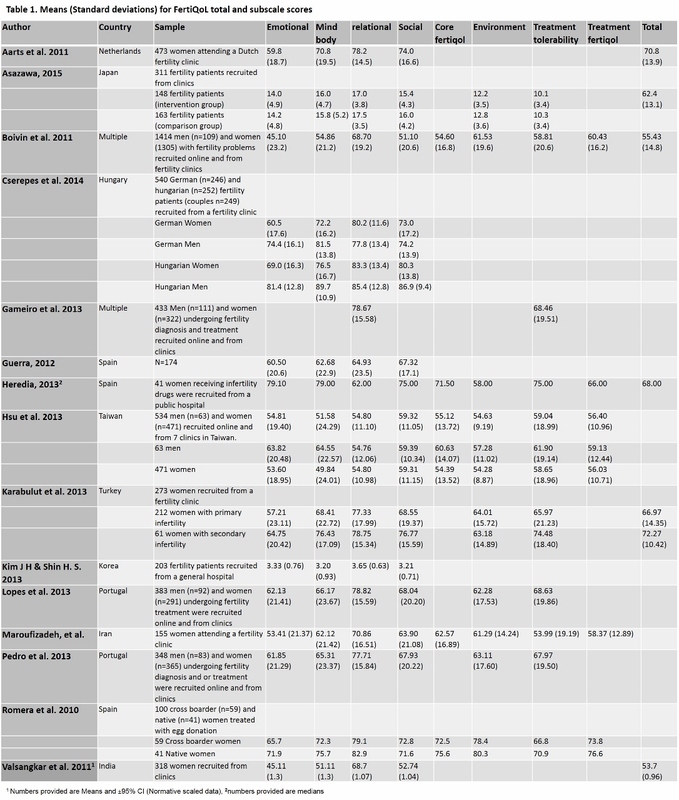 In the meantime, Table 1 shows the means and standard deviations for FertiQoL total and its subscales for studies using FertiQoL thus far. These can be used to give an indication of fertility quality of life scores in different countries. 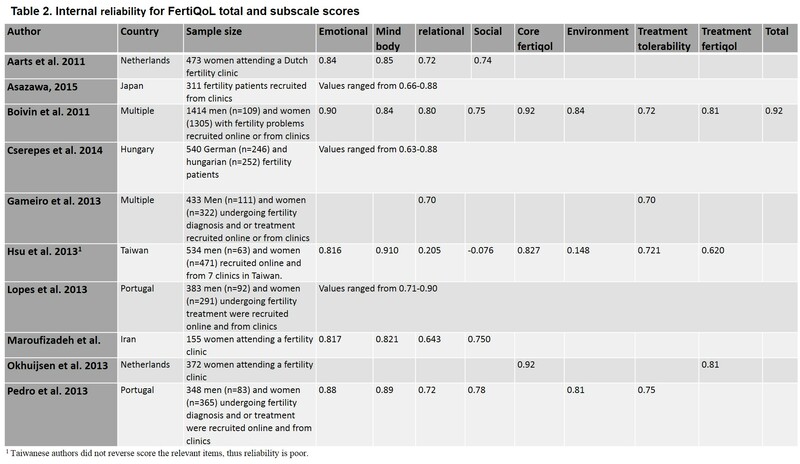 However, keep in mind that FertiQoL scores are sensitive to gender and recruitment source (e.g., support groups, treatment clinics) so please examine carefully the sample characteristics in these studies to aid your interpretations. Table 1 describes means and standard deviations for the FertiQoL total and subscale scores (where available). Table 2 presents the internal reliability coefficients reported in these studies (where available). Click here to download tables 1 and 2.